Finally about to close on your dream house? Read this list to get some good tips on what you should do when moving into a new home to make the place your own. Is there anything more exciting than moving into a new home? But preparing to move is a busy time. You’ve got to figure out how to pack for moving, pick up packing boxes and look up moving tips to make the whole process go more smoothly. Plus, there’s hiring movers, renting a truck, enlisting friends and family to help – and that’s on top of all the other stuff you’ve got to do to prepare for closing day and, once you’ve taken possession, get the place ready for move in. Before you settle into your new home, these new simple home hacks can help you make the place feel like your own. Make moving day as smooth as possible, and stave off future new homeowner hiccups, with these moving day tips. The very first thing you should do after taking possession of a new home is change the locks, or have them re-keyed. If you’re handy, you can do this yourself with a re-keying kit from your local big-box hardware store, or you can buy new locks. These days, homeowners can choose from a range of smart locks, as well as old-fashioned ones. Why change the locks? While the previous owners are probably great people, there’s no knowing who has keys to your home. There could be any number of copies of your house key out there, and you never know who has them. Make sure you and your loved ones are the only people who can access your new home. Locksmith rekey services are typically covered under your home warranty. Don’t miss important bills, housewarming cards or letters from Grandma – set up mail forwarding to begin on moving day. You can apply for mail forwarding online for $1.05, or you can do it in person at the post office. Of course, you’ll still have to change your address with your bank, credit cards, magazine subscription issuers and others who send you mail, but you’ll have 60 days to change your address for magazines and a year to change it for other kinds of mail. Just like you can’t know who has a copy of your house key, you can’t know how thoroughly the previous owners cleaned the place before they left. It’s a good idea to give your new home a good deep clean – clean the refrigerator, the oven, the walls, the floors and the cabinets inside and out, as well as the bathrooms. It’s easiest to do this before you start bringing your stuff in, or at least before you start unpacking it. If you don’t want to deep clean your new home yourself, you can hire professional cleaners to perform a move-in clean. Smoke alarms and CO detectors are among the most important safety devices in your home. They could save your family’s lives in the event of a fire or a carbon monoxide leak. Before you move into your new home, test your smoke alarms to make sure they’re working properly. Your new home may not have a carbon monoxide detector; many don’t. But carbon monoxide is odorless and colorless but can be deadly. Even when it doesn’t kill, it can cause serious symptoms, including brain damage. If your new home doesn’t have a CO detector, plan to install one on moving day. Make sure to calibrate it for the first time outside, so it can use fresh air for its baseline reading. If you have a leaking pipe in your new home, you need to know about it ASAP, and the easiest time to check for plumbing leaks is before everyone has gotten settled in. On moving day, check your water meter and either write down the reading, or take a photo of it. Wait two hours, making sure no one uses the water, and then check the meter again. If the reading isn’t exactly the same as it was two hours before, you have a plumbing leak somewhere in your home, and you need to locate it and put it on the priority list of things that need fixed right away. While you’re looking for plumbing leaks, this is an excellent time to locate your home’s main water and gas shutoff valves as well as your breaker box. That way you won’t find yourself hunting for the breaker box in the dark with a flashlight or frantically hunting for the main water shutoff valve while a burst pipe fills your basement with water. Plus, if you find a plumbing leak, you’ll want to shut off the water to your home until you locate it. Moving day is exhausting, stressful, and exciting – but it’s worth the work to finally settle into your brand new dream home. Make sure you take the time to do moving day right; it’ll save you a lot of trouble in the long run, and help you make your home your own a lot faster. For more helpful tips, visit the American Home Shield blog! Meet your March 2019 NextHomie of the Month! Please join us as we celebrate our NextHomie of the Month for March 2019, Scott Louser of NextHome Legendary Properties! With offices in Minot and Bismarck, North Dakota, Scott serves his community in more ways than one making him the perfect fit for the Culture Committee’s NextHomie of the Month title. For Scott, real estate and public service are a part of his DNA. His father owned a real estate franchise when Scott was growing up, and at the same time, his mother served on the state’s real estate regulatory board. While he started in a retail career, it wasn’t long before Scott realized his calling was in real estate, and that is exactly where he went. In 1997, Scott obtained his real estate license in North Dakota and got straight to work. In 2001, Scott served as the President of the Minot Board of REALTORS® Association. In 2005, he served as the North Dakota State Real Estate President. In 2006, he was recognized as REALTOR® of the Year. In 2007, he purchased his first franchise. Oh, and in 2012, he went on to serve as the Vice President of a little group called the National Association of REALTORS®, you may have heard of them. Even after all of that, he still wanted more. In 2010, he decided to run for public office and he was selected to serve as Minot District 5’s State Representative. Since then, he has won two additional elections and continues to serve as the Assistant Majority Leader of the House today. While working on the Danger Report together, Scott and James began working on a project of their own. Shortly after, in December of 2015, Scott announced his move to NextHome and he opened his first NextHome Legendary Properties office in Minot, North Dakota. So, what’s next for Scott? He and his wife, Alexa, have three beautiful children together. For now, serving as a father, a husband, a legislator, and a NextHome Franchise Owner of two office locations is more than enough to keep him busy. “If I’m fortunate enough to get reelected, I’ll continue with the legislature. I’d like to expand and open other NextHome offices, but we’ll just have to see how things go.” Whatever Scott’s future may hold, we are certain it will be filled with passion and the same desire to serve that has filled his life in both real estate and politics. “Being a REALTOR® means making a lasting difference in a client’s life, and being a Broker means making a lasting difference in a REALTOR®’s life,” said Scott. “And being Scott Louser means making a lasting difference for what you believe in,” added Randy Lenz, Culture Committee Chair. Pleasanton, CA — March 26 2019 — NextHome is proud to announce our newest addition to the franchise, NextHome Team Ellis. This new brokerage represents the sixth office location opened in the state of Missouri by the NextHome franchise. The Waynesville-based brokerage will be owned and operated by top REALTOR® and Broker of record, Lisa Ellis. NextHome Team Ellis will provide real estate services such as first-time buyer, investor, multi-family, land, military relocation and traditional single-family sales for all of the St. Robert and Fort Wood area. More than 90% of NextHome Team Ellis’ business is working with military families. The agents at the brokerage are experts in working with unique military loans and programs such as Veteran’s Assistance and Homes For Heroes. Located two-and-a-half hours west of St. Louis, the town of Waynesville is known for its deep military roots. As a military post, Waynesville is the home to the United States Army Chemical, Biological, Radiological and Nuclear School. Now in her 21st year, Lisa started real estate in 1998 at a local independent brokerage in St. Robert. She made the move to a Coldwell Banker franchised brokerage in 2000 and saw a huge rise in her business. In 2004, Lisa moved to a local RE/Max and grew her personal real estate sales year-over-year and was consistently a top producer in her market. In keeping up with her business, Lisa moved to Century 21 Prestige in 2010 to manage the 12 agent brokerage, while forming her own personal real estate team – Team Ellis. She grew the team to three agents, selling more than 60 transactions annually. After seven years of managing and running a real estate team, Lisa returned to the RE/Max brand to fully focus on sales with Team Ellis. In 2018, the five-person Team Ellis group sold more than $12 million and 87 transaction sides. Incredible numbers for an area with an average sales price of $133,000. Lisa attributes the growth and success of the team to focusing on world-class service and client care that has her buyers and sellers returning again and again. After 20 years in real estate and selling at the highest level, Lisa was ready to take the next step in her career – owning a brokerage. “The Team Ellis members were excited and totally onboard,” she added. 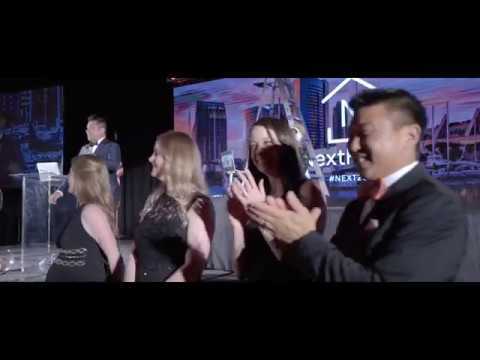 Besides Lisa, NextHome Team Ellis is comprised of five dynamic REALTORS® – Angie Masterton, Hazel O’Donnell, Maryanne O’Brien, JP Macormic and Linda Wyatt. Lisa and Team Ellis are very involved in the community. They work closely with Fort Leonard Wood, supporting military events as local sponsors and volunteers. Team Ellis also sponsors local youth sports teams in basketball and soccer. Lisa and her husband, retired US Army E7 First Sergeant, Renard, have four children and four grandchildren. Please join us in welcoming Lisa and the rest of the team at NextHome Team Ellis on the opening of their brand new office in Waynesville, MO! An overhyped stereotype about millennials is that they’re entitled narcissists who can’t be bothered to do homework, legwork or even stash a few dollars in the bank (see avocado toast). That caricature can be taken apart in many ways – including by research from the Zillow Group Consumer Housing Trends Report that shows millennial home buyers and sellers are extremely motivated: They go on more tours, give more open houses, do more research on real estate professionals, and fix up their homes at higher rates than older generations. When buying a home, millennials go on more tours than their older counterparts. The average millennial goes on 4.4 tours — slightly more than Gen X and baby boomers — and outdoes the average of 2.7 for the silent generation. They also attend more open houses: 42.7 percent of millennials go to at least two – a higher share of buyers than Gen X (30.4 percent), boomers (24.9 percent), and the silent generation (16.3 percent). When millennials use an agent, they still do more themselves. Among millennials that use an agent, 20.2 percent go on tours themselves, higher than the 12.2 percent of Gen X, 10.4 percent of boomers, and 3 percent of the silent generation who do the same. Millennials selling their homes also give more tours on their own before getting their agents involved: 30.3 percent of them give tours to potential buyers before engaging an agent, compared to 18.1 percent of Gen X, 8.5 percent of boomers and 10.1 percent of the silent generation. Millennial buyers also do more research throughout the process. Among those who enlist the help of an agent at some point in their search, 37 percent of them preview or screen homes themselves, compared to 28.3 percent of Gen X, 29.6 percent of boomers and 14.5 percent of silent generation buyers. More millennial buyers also identify the homes they consider: 42.6 percent, compared to 32.7 percent of Gen X, 29.5 percent of boomers, and 10.3 percent of the silent generation. When hiring the many professionals that play a part in the buying and selling processes, millennials are more likely to research and evaluate agents, contractors, inspectors, and other professionals. When looking for an agent, the average Millennial seller contacts 2.5 agents before settling on one – more than the 1.7 agents that Gen X and baby boomer sellers contact and more than the 1.4 that silent generation sellers reach out to. Older generations also research their agents, but at lower rates than millennials: 75.9 percent of Gen X buyers do at least one of the above, as do 68.7 percent of Boomers and 71.1 percent of the Silent Generation. Among buyers who use an agent, millennials are more likely to find their own inspector than older generations: 22.5 percent of millennials find their own, compared to 17.2 percent of Gen X, 11.7 percent of Boomers and 11.6 percent of the Silent Generation. The average millennial buyer also outdoes other generations when it comes to contacting lenders: Millennials contact an average of 2.8 lenders before choosing one, more than the 1.7 lenders contacted by Gen X, 1.8 by Boomers and 1.3 by the Silent Generation. Millennials are more likely than all older generations to fix up their homes for sale. They outdo baby boomers and the silent generation when it comes to painting, redecorating, landscaping, replacing or buying new furniture, and kitchen and bathroom improvements. Ninety percent of millennials do some sort of improvement, compared to 84.6 percent of Gen X, 69.1 percent of boomers and 58.8 percent of the silent generation. You might think millennials are doing more work because of the kinds of houses they own: If the houses are older, for example, they might need more repairs. But the data show that millennials sold homes that are on average about eight years newer than homes sold by older generations. Millennial sellers that use an agent are also more likely than older generations to do a lot of the work that agents often handle. For example, millennials are more likely to have photographs taken of their home: 31.7 percent do, compared to 18 percent of Gen X sellers, 11.4 percent of boomer sellers and 4.3 percent of silent generation sellers. In addition to photos, millennials also make print ads and have video or other media taken of their homes at higher rates. Given how tech savvy they are, it’s no surprise that they’re big on promoting their homes on real estate sites (22.7 percent) at nearly triple the rate of older generations (8.5 percent) and on social media (38.0 percent compared to 15.5 percent for older sellers). Seventy-eight percent of millennial sellers are doing so for the first time; this is their first rodeo. The fact that they’re overwhelmingly learning the ropes for the first time may partially explain why they are doing more work: 58.1 percent of them have at least one offer fall through, compared to 37.9 percent of Gen X sellers, 30 percent of boomer sellers and 22 percent of silent generation sellers. Because a large proportion are first timers, they also are less likely to have an established network of professionals to rely on, which means they have to do more research to find a team. Even so, they are more eager than older generations to do work themselves. When asked whether they prefer to take the lead themselves or rely on guidance from professionals, 57.5 percent of millennial sellers say they are more inclined to take the lead themselves – a higher percentage than older generations. Among Gen X sellers, 40 percent report taking the lead, compared to 29.5 percent for boomers and 24 for the silent generation. This preference may explain why millennials often outdo older generations when it comes to the homework, fixing up and other jobs associated with the home selling process. Millennials refers to people between the ages of 24 and 38. Gen X is 39 to 53. Baby boomers are 54-73. Silent generation refers to people age 74 and up. For more helpful tips, visit the Zillow blog! 1. Track your day using a log or time sheet. Even if it’s just for a week or two, write down or electronically record your day’s activities in 15-minute increments from the time you get up until the time you go to bed. Then, look back and see where the biggest chunks of your time are spent and where there may be some minutes each day that you can shift activities to gain some spare time. Notice any patterns that emerge, such as activities that you tend to consistently do during certain times of the day. 2. Think about when you are typically the most productive. For some people, it’s early in the morning. Others may need a few hours to reach their peak energy, and for some the end of the day may be their most efficient time. Whatever yours is, try to schedule the most important or the most taxing activities during those hours. 3. Try to consolidate where you can. Group tasks and activities for maximum productivity. For example, try to return calls, texts, and emails together as much as possible so that you’re not constantly being interrupted throughout the day. Try to handle all appointments and errands in the same part of town to avoid wasted driving time. 4. Tap into your multi-tasking skills. Check listing activity while you wait for appointments. Listen to real estate related podcasts while you drive to stay abreast of industry trends. Return phone calls while you walk or exercise. 5. Take advantage of the technology around you. Set notifications for only the things you need to be alerted about immediately, such as texts and phone calls. Organize the apps on your phone and tablet so that you can access them quickly, and delete those that you don’t use. 6. Take a social media break, and avoid the social media rabbit hole. While social media platforms can help you with leads and building client relationships, they can also be a time drain. Designate a set period each day to post on your social media accounts and to comment on other posts. To keep you on track, consider setting an alarm on your phone to signal when it’s time to move on to other tasks. 7. Team up with professionals who can make your life easier. For example, an American Home Shield® Home Warranty can help transactions go more smoothly as well as help build lasting client relationships. When buyers have AHS® Home Warranty protection and a covered item breaks down, they’ll call AHS and not you about the problem, which can save you time and help you be productive. Your local AHS Account Executive can also help you with marketing tools and other ideas to help you be as efficient as possible. What is a Real Estate Home Warranty? As a real estate professional, you probably already know that home warranties can serve many valuable purposes in real estate transactions. Home warranties can help market properties, offer reassurance to prospective buyers, and help homeowners protect their budgets when many common household breakdowns occur on covered items. In addition to knowing the advantages, do you know how to explain home warranty coverage to your clients? Here’s a quick explanation to help. A home warranty is a service agreement, often for one year, that covers the repair or replacement of many major home system components and appliances that break down over time due to normal wear and tear. A home warranty is not the same as a homeowners insurance plan, which typically protects homes from potential events like fires, theft, or natural disasters. While a home warranty is a good complement to standard homeowners insurance, it’s not a substitute for it. Depending on the plan, most home warranties require an annual or monthly fee as well as a service call fee that is due per contractor specialty to diagnose a covered problem or to perform service. Knowing these costs in advance can help homeowners budget for many of the inevitable household breakdowns that always seem to occur at the worst possible times. In some cases, there could be additional costs associated with covered repairs or replacements, so always advise your clients to thoroughly review their home warranty contract for details to avoid surprises. In addition to helping protect homeowners’ budgets, home warranties can also offer homeowners a reliable resource for repair help when breakdowns occur on covered items. Home warranty customers are given a number or website to contact for repair requests, which can save homeowners valuable time when seeking a qualified contractor. Home warranty companies, such as American Home Shield®, go the extra mile to monitor and grade contractors on their performance through customer satisfaction surveys.